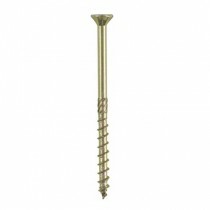 The ESCRC is a countersunk head screw designed to connect two or more timber members together. The ESCRC screw has a reamer to allow for smooth driving of the shank. The countersunk head gives flush fitting while allowing the timber members to close up firmly.